Blogging is a great way to bring traffic to your website. It is not only a platform for content promotion but also boosts the SEO of your website as search engines would know that your website is active when you keep on updating your blog. It will, therefore help in boosting your reach. Your blog helps you to bring all your social media followers on your website through the means of blog links shared over your various social media pages. It will thus, integrate all your consumers on a single platform where you can share all the information and important updates through innovative content writing techniques. Having a blog helps in popularizing your business and builds a brand image by sharing your brand stories. The content should be written in such a way that it addresses the needs of your customers, thereby driving them towards your product and services, strengthening your position in the market. Your company blog would serve as a platform to make important announcements and will save you from the burden of approaching news agencies and convincing them to publish your news. You have your entire consumer base over your blog, just make your announcement on your blog and more often than not your message will reach its destination. Content development should be such that it addresses the queries and issues of customers. The content should be enlightening, informative and entertaining, all at the same time. Regularly reply to the comments of your customers, address their problems and take responsibility. It will strengthen the bond between you and your consumers. 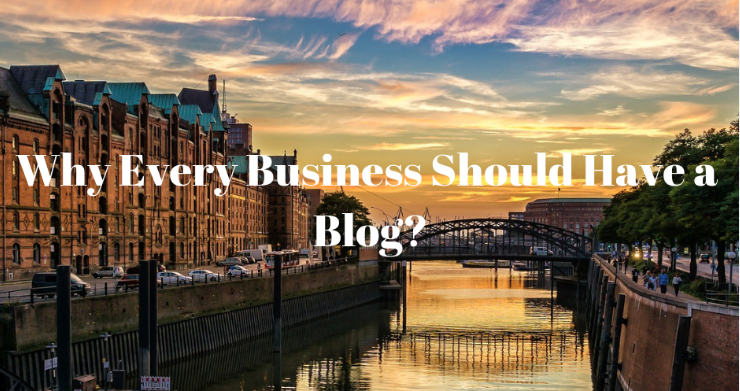 Having a blog could benefit your business in multiple ways. It will build a positive image of your brand, lure new customers and investors for your business. It is also a medium to share necessary information related to your business, addressing the queries and generating feedback. It is therefore a must have platform to strengthen your business.